My name is Debbie, and my daughter Jade works along side me. We are both Quality Assured Childminder’s and provide the 15/30 hour HCC Government Funding. We both have been awarded a GOOD grade (October 2018) at our last inspection by Ofsted. We have a welcoming child orientated home which is colourful and filled with toys and equipment for children of all ages. We thrive to provide an excellent service that meets parent's needs, whilst ensuring a safe, caring, loving and enjoyable learning environment for the children. All the resource's we provide are of high quality and organised so that the children can choose and learn at their own pace and be treated as an individual and thrive from all of this.....but most of all that they had fun and enjoyed their time here and bring a big smile to their face. and development even in the rain and snow. As good practice we use a Daily Diary for under 3 ‘s so we can work with you to make sure your child's normal routines are kept in place and you know what they have done through-out their day. We use the “Tapestry Journal” for Childminder’s & Nursery's. We're able to make videos, take photos, and we can link it to the relevant area within the EYFS. Parents have secure on-line access to their child's learning Journal 24/7 with records, plans and photos, so you can regularly keep up to date with your child's learning progress each day and how they are developing, their next steps, and add comments so we can work in partnership to achieve the very best for your child. We love to go on adventures and explore with the children with lots of walks & outings, and daily trips to parks, woodlands, farms and library’s. We plan day trips to Sealife center,Bird World,Fishers Farm, Marwell Zoo,Butlins, Poultons Park,QE park, all the places children enjoy to visit, and there is NO extra charge for these days out. Ive been a Registered Childminder for over 15 years, and my daughter Jade has been Registered as a Childminder for 8 years. Emergency and Short Term cover also available. We work in partnership which is easier to accommodate your childcare requirements. A Reduced rate for Sibling’s. Please make sure you have Registered with your local Council/HMRC for your Activation Code. Below are the latest reviews for Debbie A. Please note that reviews represent the subjective opinions of other Childcare.co.uk users and not of Childcare.co.uk. Parents must carry out their own checks and references on childcare providers to ensure that they are completely happy before enaging in the use of their services. 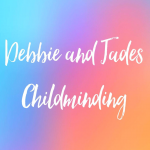 Debbie and Jade are both wonderful childminders and have an excellent and very suitable environment for children to develop and have fun. They provide a real home from home with a fantastic arrangement of toys and garden space and they undertake regular trips and outings. The setting is immaculately clean, tidy and completely child orientated. My two little girls absolutely loved attending, my youngest from 8 months. I was always particularly impressed with how caring and attentive they were and felt reassured the children were receiving lots of high quality very genuine care. My daughter has been attending Debbie & Jade's setting for just over a year & a half. She settled in quickly & loves going! Debbie & Jade always plan fun trips out including soft play, playing in the park, walks & visits to the library. They make excellent use of their indoor & outdoor space in the setting & have a large range of good quality toys. Debbie & Jade are really approachable & supportive - we are really pleased with the care they have provided our daughter & we have enjoyed watching our little girl develop over the time she has spent with Debbie & Jade. Debbie and Jade have been looking after my daughters for just over a year now and we are so happy with them. The girls love them, they do so much with them and really have been the support we have needed with trying to juggle full time working and children. Thankyou for your message:-) we really enjoy having the girls and taking them out. We have had our 2 year old son with Debbie over a year. I cannot begin to rate Debbie enough, since our son Noel has been with Debbie his speech has moved on massively and his manners are amazing, sometimes my husband and and i will ask Noel where he learnt the words or how to say things and he will say at Debbie's house. The layout of the house is fantastic for the children and done so beautifully. Debbie is always doing activities and trips with Noel that he loves and tells us about everyday. I wish Noel could have more time with Debbie, she is amazing! I would highly recommend Debbie for childcare as she is very approachable and caring person. Every day at Debbie's the kids are kept busy by interacting with other children and learning and generally having fun! I was always encouraged to see that both of my girls had an excellent time there and did not feel guilty leaving them as I knew they were in good hands. Overall a lovely atmosphere for children to be in. I am sad to say that my youngest has now started school and is no longer with Debbie.